After whip stitching the first two charges onto the dress, I decided to use a running stitch to attach the third (and final) charge. This meant that one of the patonce crosses was attached with a whip stitch and the other was attached using a running stitch. I wanted to see which would work better covered by the couching cord and which stitch worked better for sewing curves and points. 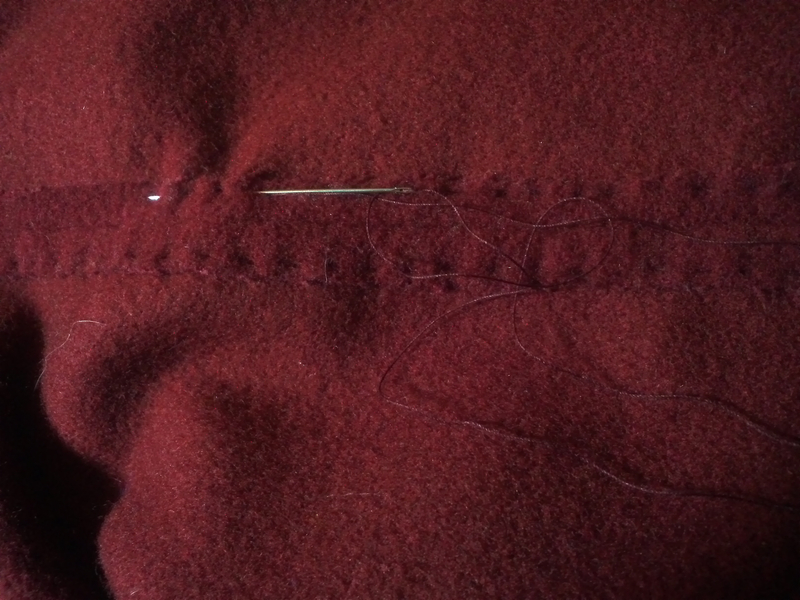 While the running stitch was somewhat quicker, I found that I preferred to sew the whip stitch. To me, it felt like I had better control over the outcome with the whip stitch. 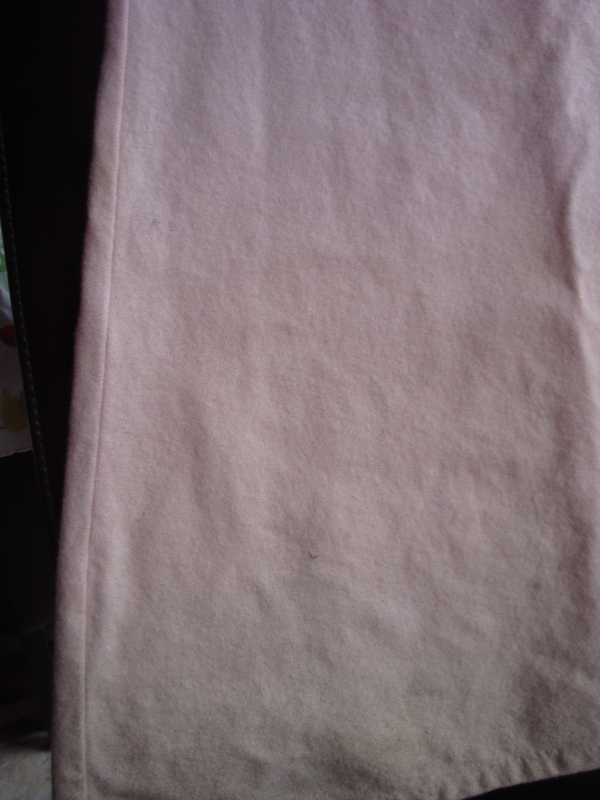 To finish all of the seams, I simply opened them up and sewed each edge flat out in opposite directions. 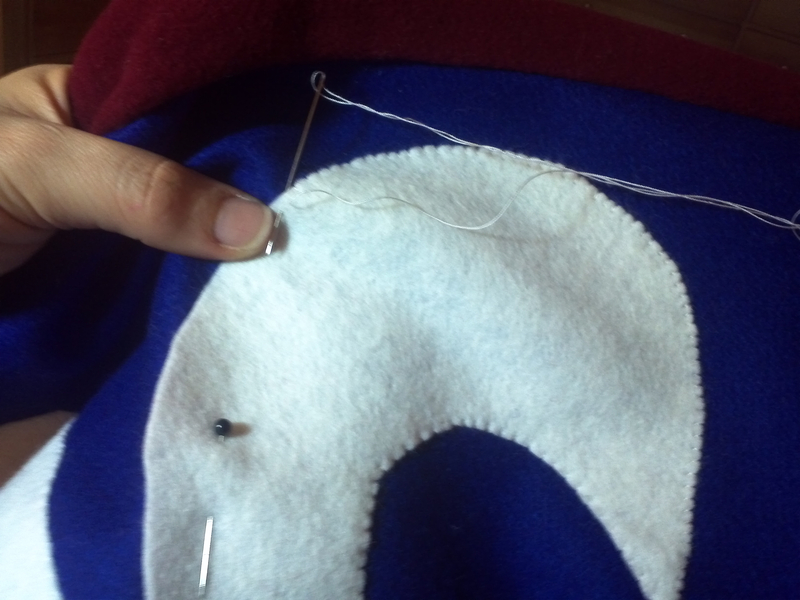 This helped to remove some of the bulk that can form at the seams when two layers of coat-weight wool are sewn together. 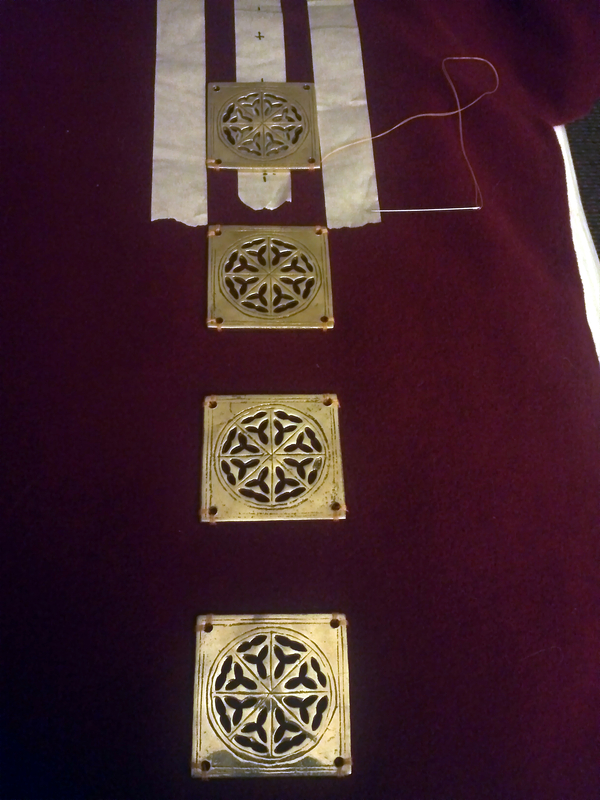 The final step in preparing the surcoat to be worn, was to attach the brass plaques. After looking for these for several years, I was finally able to locate them. Because they were square, it was necessary to make certain they were precise and straight. At first I marked the center line on the fabric, but it was still too difficult to make certain the plaques were level to the ground. So instead, I marked the center line with tape and then placed tape at the outer edges of where the plaques should sit in parallel lines to the center line. This allowed me to mark spacing on the top and bottom. It worked well! Now all that is left is to couch braided cord on the edges of the charges. 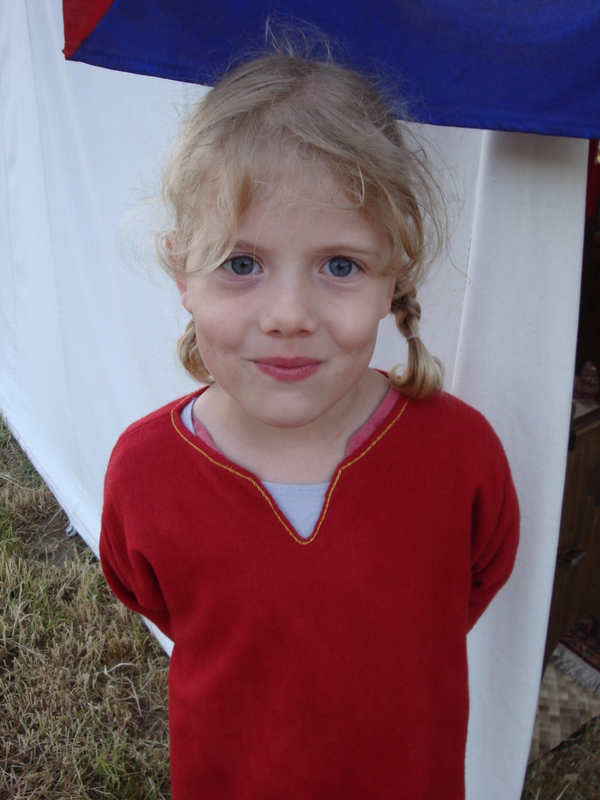 From my earliest days in the SCA, I have always loved Paternosters. 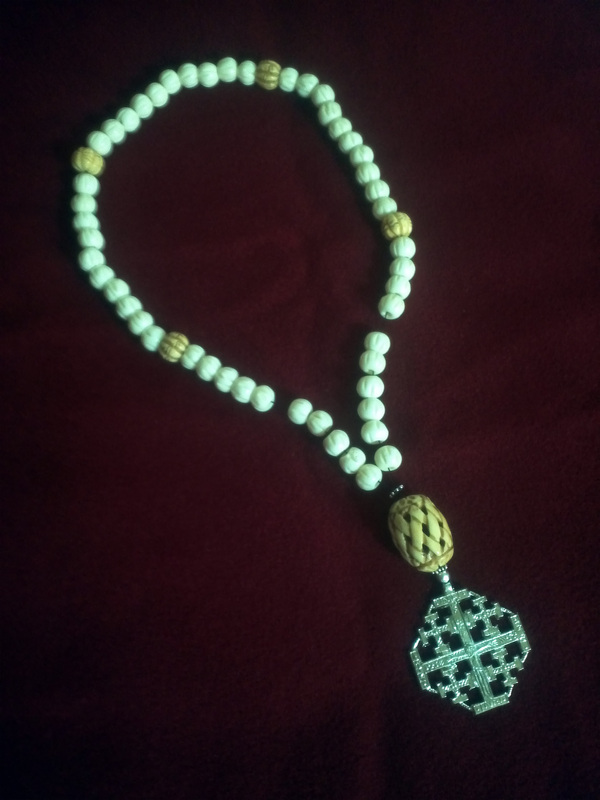 There is just something beautiful and soothing about the beads; patterns and symmetry… I am always surprised by how under-represented these special items are in the society. I acquired the bone beads to construct this Paternoster some time ago. This summer, I found the perfect pewter cross while at Pennsic – from none other than Billy & Charlie’s. 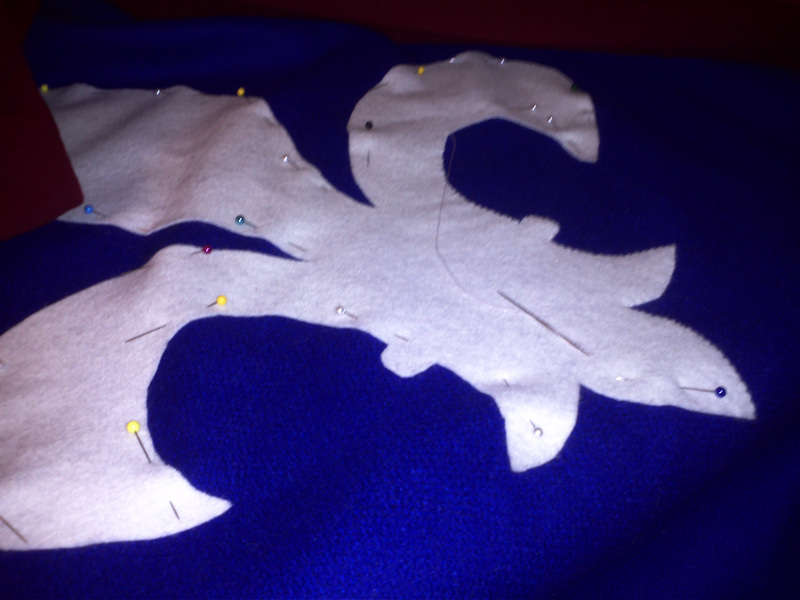 For some time now I have wanted to construct a heraldic sideless surcoat made from wool. Having recently finalized the design and submitted my arms for approval, this seemed like a great time to get started on this project. I set out to draft a design that would represent my arms, but also work well as an item of clothing. 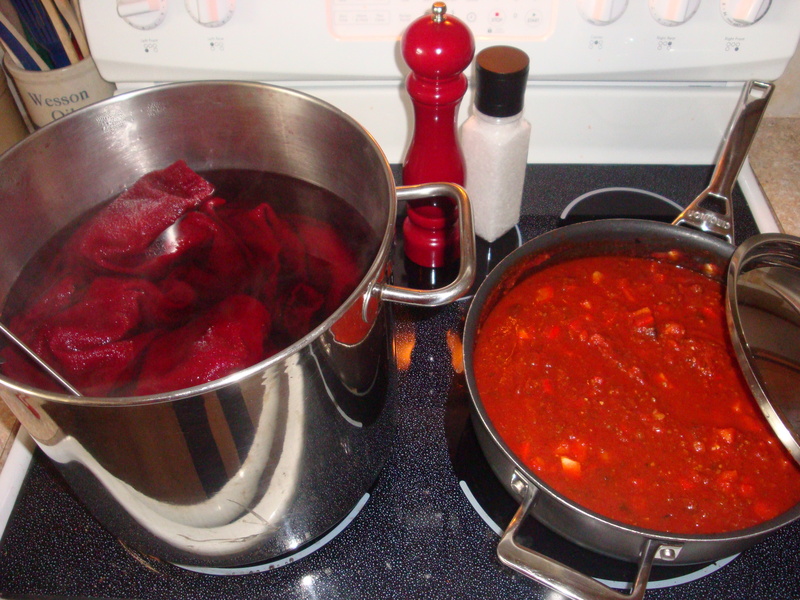 After determining design, I was able to calculate the amount of red and blue wool that I would need for the project. What I didn’t realize at the time, was how difficult it would be to locate the correct colors in the same weight of wool. After purchasing 4 yards of a wool that ultimately would not work for this project, I finally found exactly what I needed at http://www.thewoolconnection.com. The next big decision related to construction. 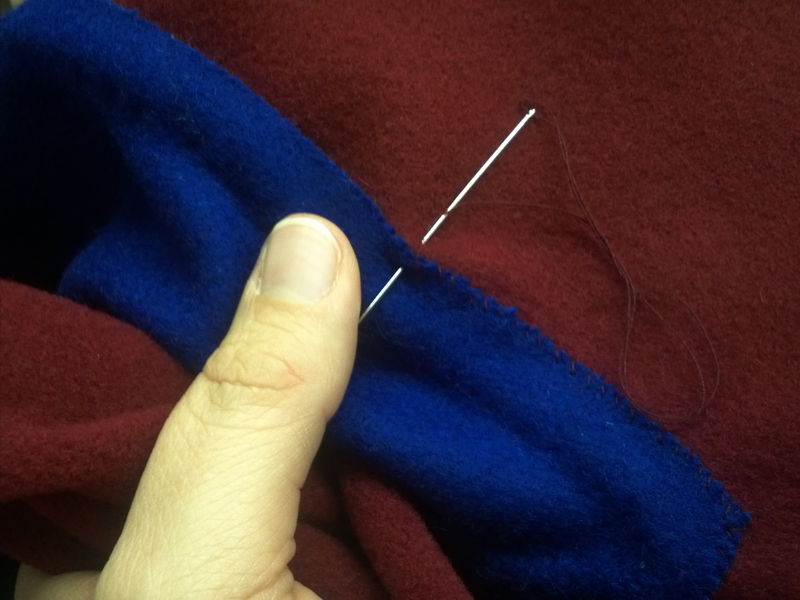 I generally finish hems, cuffs, and necklines by hand, but sew long seams on a machine. My previous exceptions to this guideline have been for ruffled veils, which I have sewn entirely by hand. As I began to work with this wool, cutting out pieces, I recognized that I would enjoy working with this fabric and that it would make a great project to sew entirely by hand. 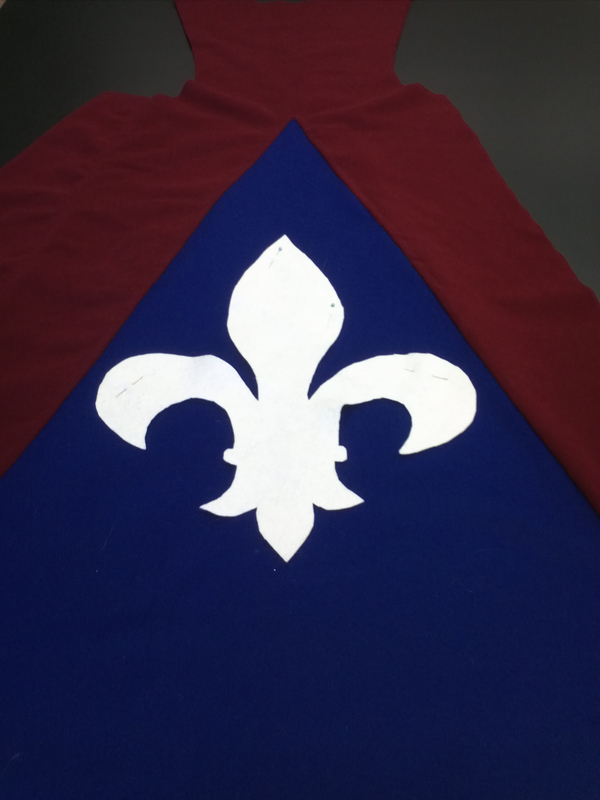 The next dilemma to be solved involved adding the charges of my heraldic design. I needed to find a source for both white and golden-yellow wool. After significant hunting, it was apparent that finding either of these colors would be extremely difficult. At that point I decided to look for 100% wool felt. I was able to find a really nice dealer on www.etsy.com who sold generously sized wool felt squares in a wide range of beautiful colors. 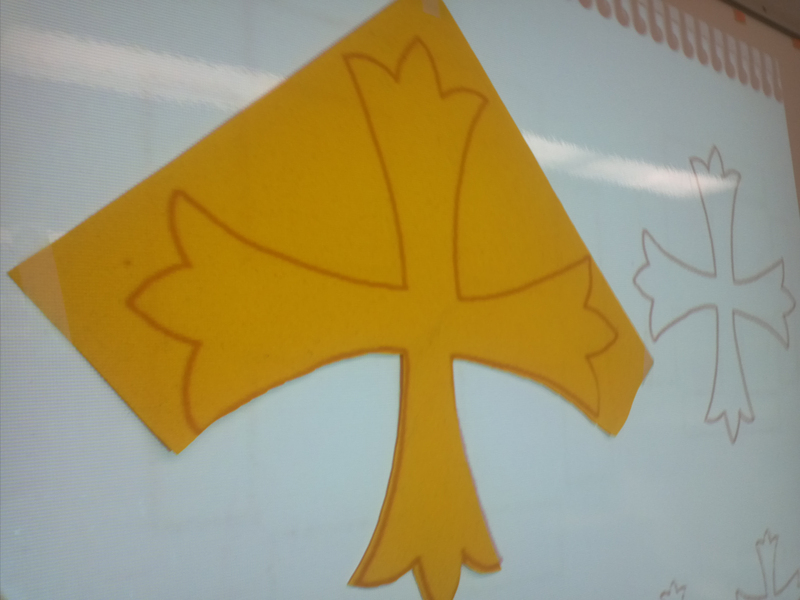 Once I received the wool felt squares, I taped them to a wall and projected my two heraldic charges onto the fabric. This allowed me to adjust the size of the charges on my document camera and then easily trace the projected shapes onto the wool. With the garment and charges cut out, I laid them out to begin the pinning process. 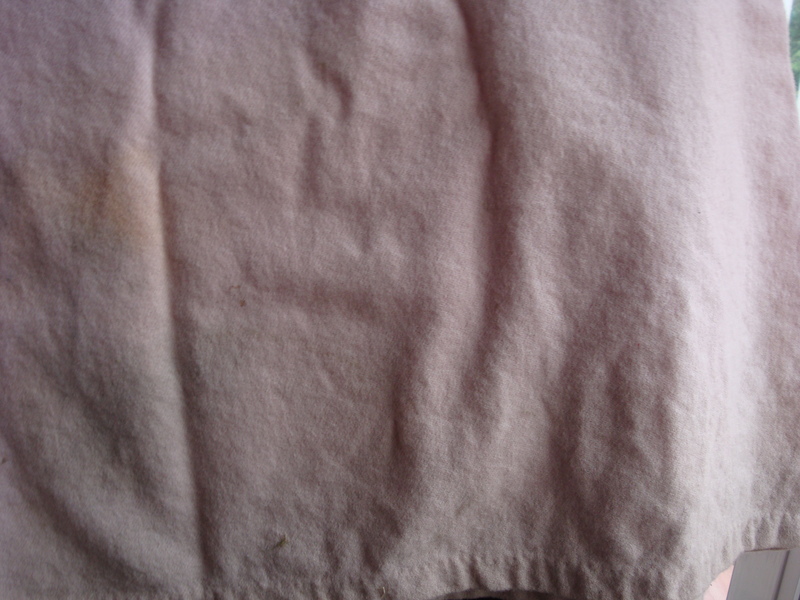 After measuring and measuring to make certain that everything was straight, I whip-stitched the charges to the garment. This last weekend brought a lovely cool winter day for Glymm Mere’s Yule Feast. Gerald and I were excited to enjoy a beautiful day with so many of our friends. Although when we left Huntington House that morning, we could not have imagined what a special day lay before us. 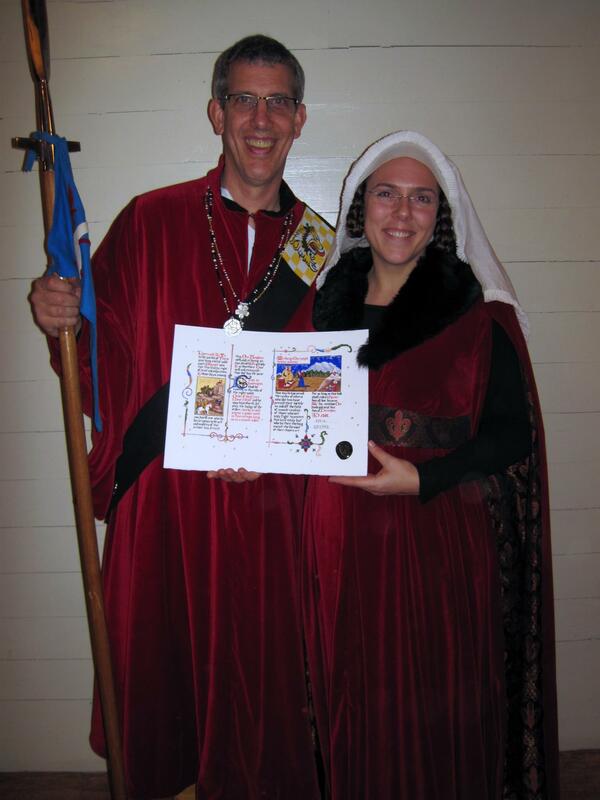 Gerald was called into Royal Court to receive his medallions for the top Thrown Weapons scores in An Tir for 2011. He had not expected to receive these and found himself caught off-guard, which was the perfect time to surprise him. Needless to say, he was astonished when The Crown asked him to kneel as the Royal Herald called the members of the Order of the Grey Goose Shaft. This order has traditionally invited new members for their excellence in archery, but Gerald’s skills are found in the area of Thrown Weapons. That they have chosen to include him in their numbers, is a great honor. Listening to our dearest friends speak on his behalf brought tears to Gerald’s eyes. (I had the perfect view of this.) The stunning 14th century style scroll that was presented to him, featuring images of our family, brought tears to mine. What a wonderful honor for Gerald and an amazing surprise pulled off by some really phenomenal people. We are humbled by it all. 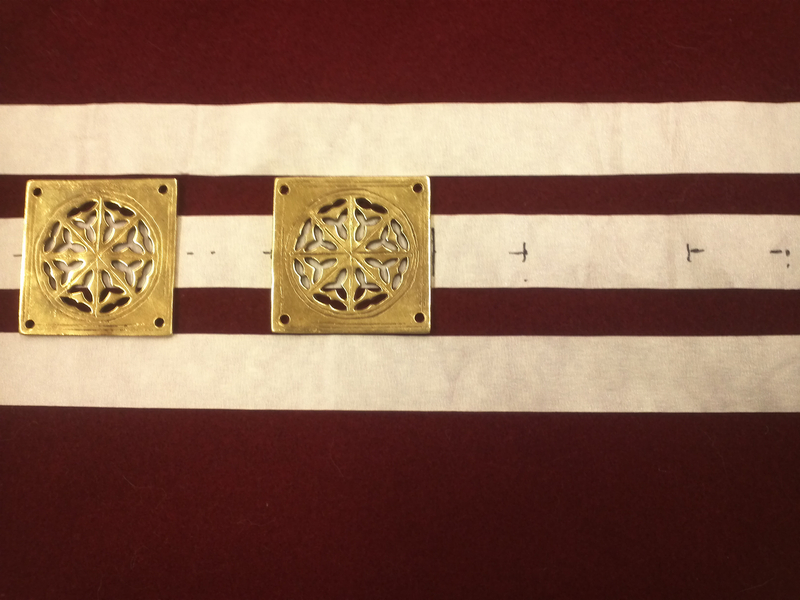 …Special Note – this brilliant scroll was designed and made by someone we don’t even know, Rowan Beckett Grigsby. What a gift! 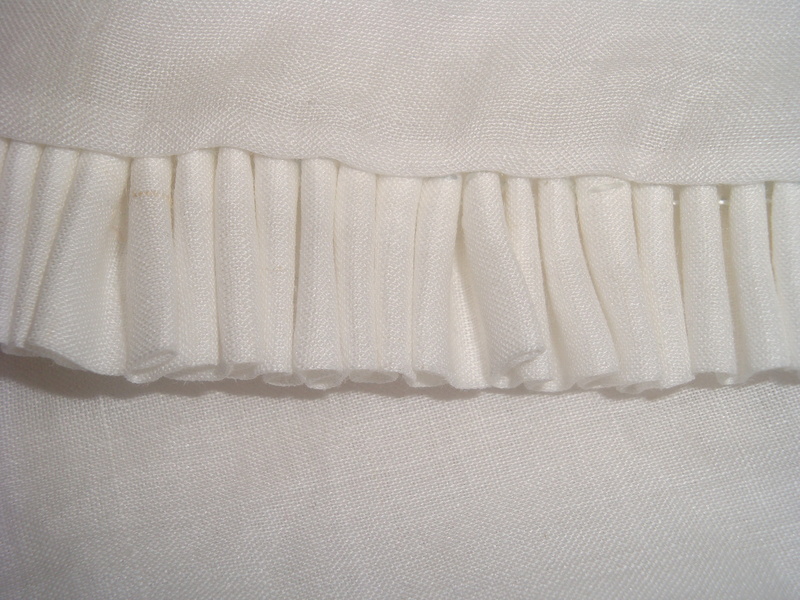 After marking all 1200cm of veil tape, the pleats were made by placing a running stitch at each marker. Once the pleats were drawn up, the veil tape was attached to the veil with a simple whip stitch. 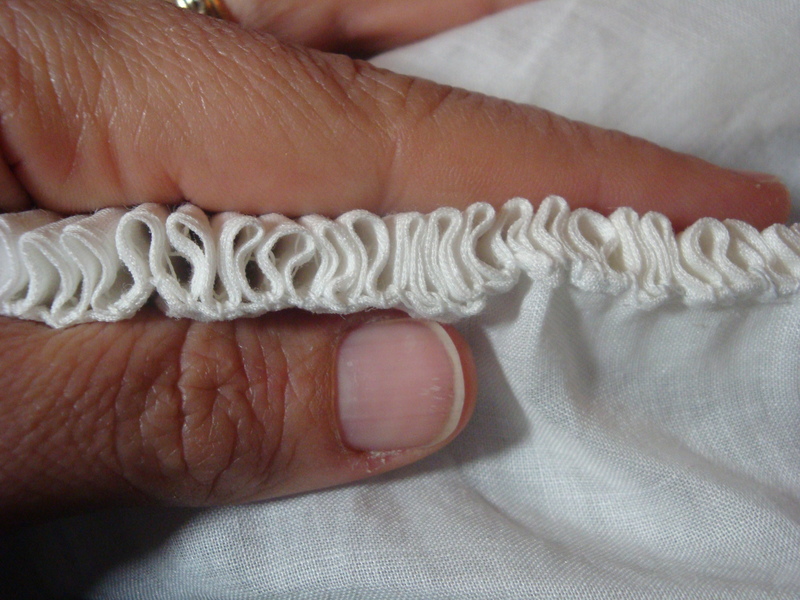 Two stiches were used to attach each pleat. 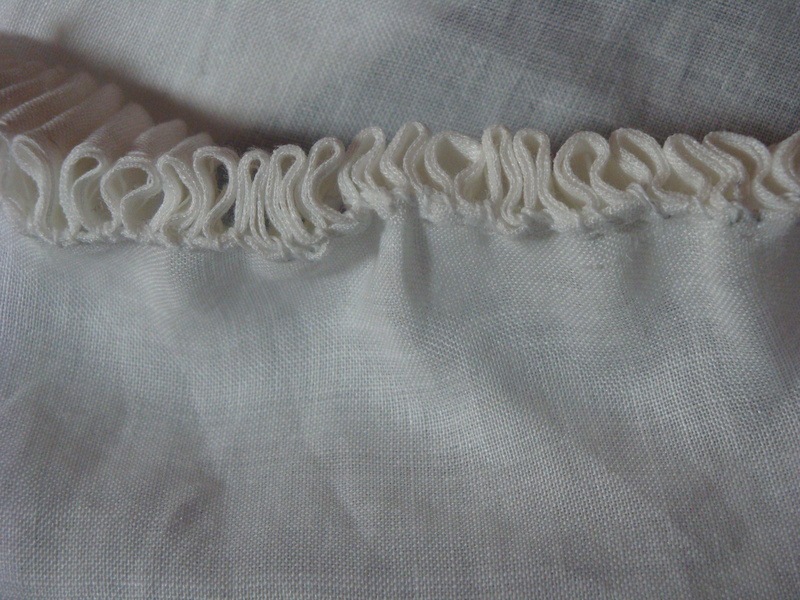 I was extremely pleased that after all of the measuring and pleating, there was only about 5cm left of unused ruffle. The calculations turned out to be quite accurate. This veil drapes and moves differently than the first frilled veil that I made. It has been an experience to learn to pin and display it in ways that I had not previously tried. I feel a special bond with this project, as it was my first well-researched creation. And so I finished this new dress just in time for Honey War, which was great as it was a cold and damp event. Unfortunately, because I cut the dress full length to keep Molly warm, it often touched the ground as she played during the day. Each time I saw her, more and more dirt had wicked up from the ground and by the end of the day the bottom of her dress was no longer pink.